It’s Bald Archies time again… The annual Bald Archy competition parodies Australia’s top prize for portraiture, the Archibald Prize, promoting comedy, cartoons and caricatures. Multiple entries this year drew inspiration from American celebrity Kim Kardashian’s famous photo which sent social media into overdrive, supposedly “breaking the internet”. The winner of the 2015 Bald Archy Prize will be announced on July 24. 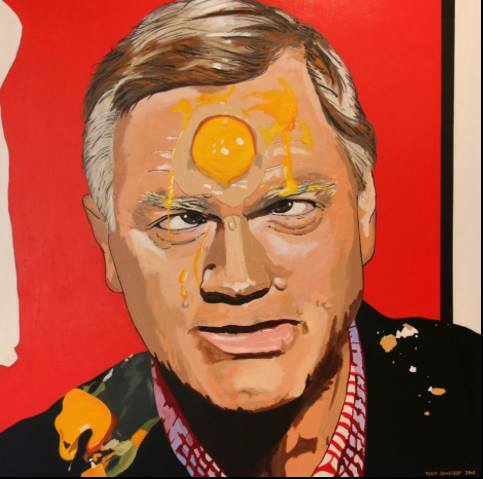 Editor’s note: My favourite so far is Andrew Bolt with egg on his face.! IKR. “The new ARCHIVE OF DIGITAL ART (former Database of Virtual Art) goes Web 2.0! Artists, scholars and scientists are invited to actively contribute to the archive and to work collaboratively on the documentation and analysis of digital art.